I haven’t written for a while as I struggled with a lack of creative inspiration. I am glad to report that I’ve had a breakthrough! It all started with some yarn I ordered from Purl Soho and a tote bag I admired and pinned on Pinterest. It was only after unwrapping my new yarn treasures from Purl Soho that I knew I would do this bag my way. 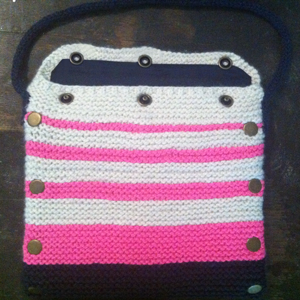 I wanted to this bag to showcase a new nautical look with the obvious navy blue strip at the bottom and broke up the ho-hum natural colored yarn with the hot pink color. I also incorporated a flap closure with snaps since I have never favored the thought of an open bag where all my stuff could come tumbling out. Besides, I am a sucker for metal hardware on any piece which is obvious by my use of snaps to embellish the sides of the bag, too. The snaps on the sides are purely ornamental. 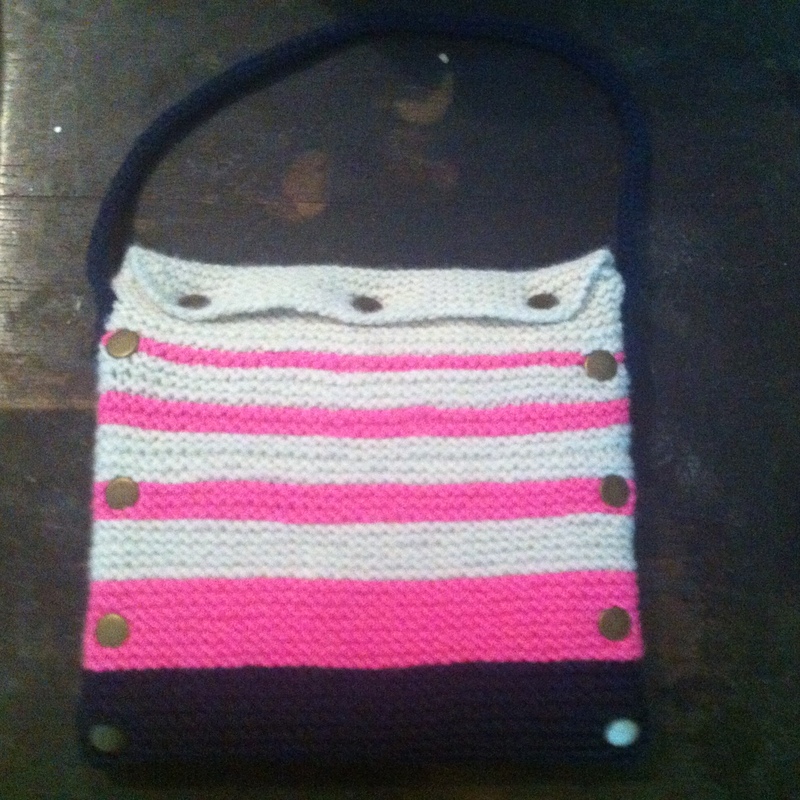 I began knitting this bag in one piece. 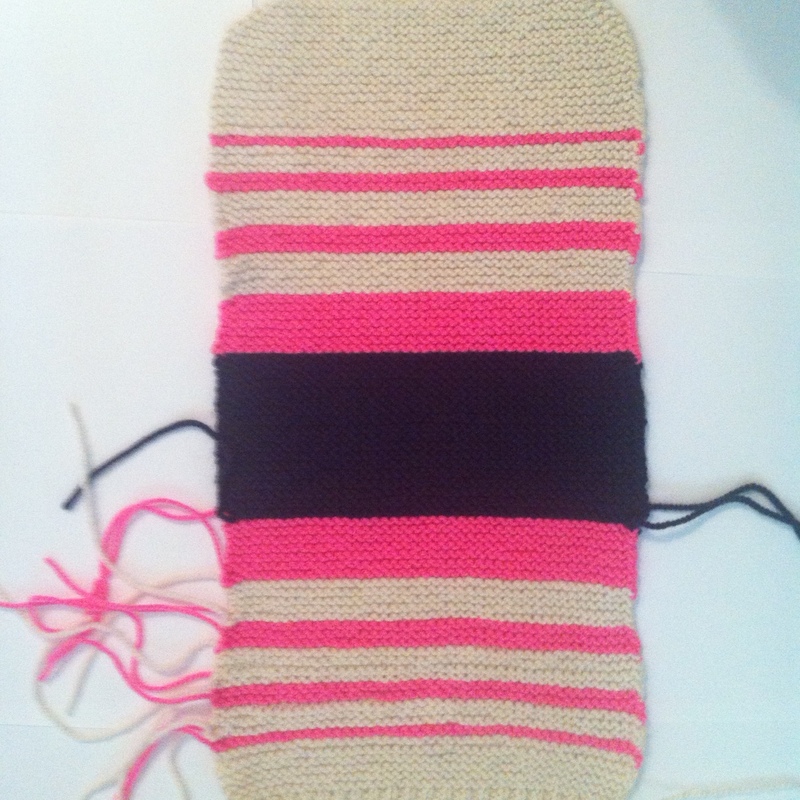 I also took this opportunity to continue to train myself to knit with yarn in my left-hand (continental style) in preparation for some upcoming multi-color knitting projects. This was good practice but I switched back to English style when my left hand got tired. I know I’ll have to get used to Continental style and get the tension to be second nature before that happens. I ended the piece with a ribbed edge so that it is less like to stretch out and lined the bag with fusible interfacing and dark blue fabric I had lying around in my craft room to make it strong enough to carry a book, my ipad, wallet, phone, etc. 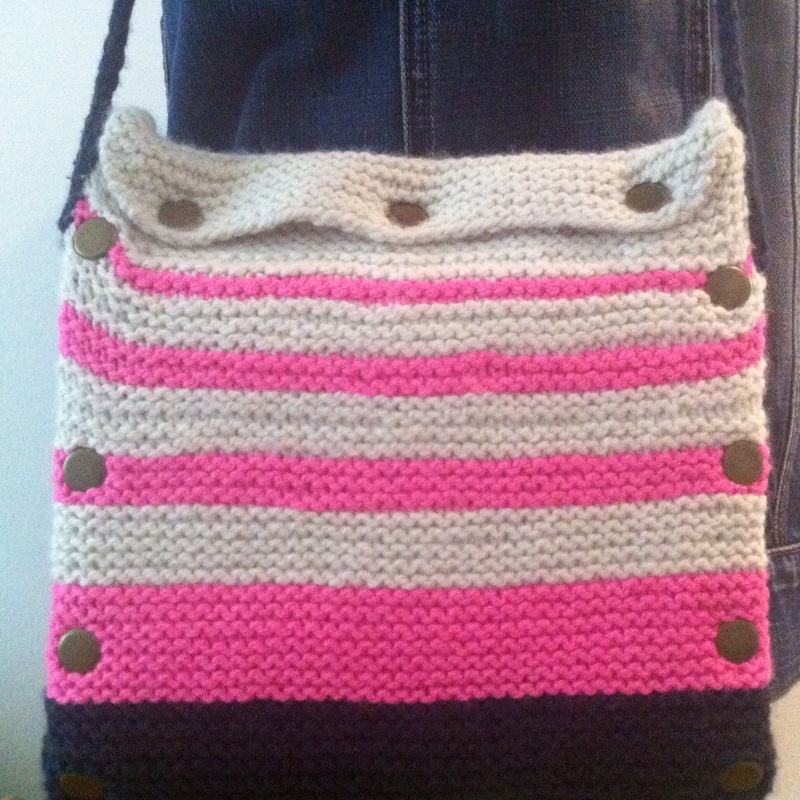 I ordered a leather purse strap for this bag, but I finished the bag so quickly (a testament to how pleasurable it was knitting with Purl Soho Twist), I ended up knitting an 5-stitch I-cord shoulder strap and attached it before the leather strap arrived. All in all, this was a great quick project! Now, I am off to start my next one!